We’ve changed things up a little for this week’s episode of Anecdotally Speaking! We have Gerry Lynch, former General Manager of Mars New Zealand and now CEO of Delmaine Fine Foods tell the story this week. Mars New Zealand has been awarded as the best place to work in the country. Everything in their work is guided by their values, and that’s what Gerry’s story is focused on. 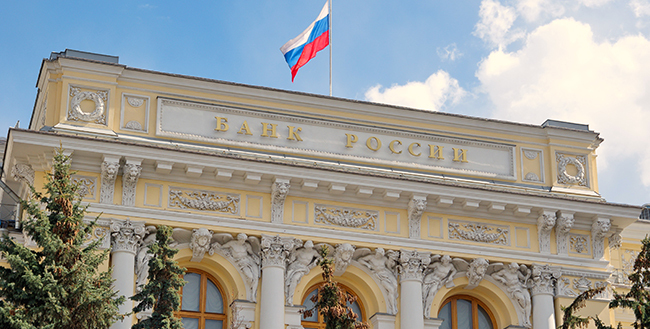 It takes place in the 1998 Russian Financial Crisis and demonstrates how a value can guide some of the most important decisions a company must make. This story is also a great example of how important data can be for setting up the story. Gerry begins the story by emphasising just how bad it was for business in Russia in 1998 using certain data. Many thanks to Gerry for sharing the story and for being a guest on the podcast. Wishing you all the best in your new role. Mark mentions the NPR podcast, which you can find here. I mention Gary Klein and you can find information about him here. 1998 Russia. The year that the Ruble crashed and Russia defaulted on its debt. Interest rates were raised up to 150%. Investors fled. Inflation peaked at 84%. Many of the banks closed. Many of the Mars competitors retrenched back to US or Europe. Management team were unsure what to do. Mars’ money dried up – their customers, distributors couldn’t pay them. One of their main distributors were on the verge of bankruptcy. John Mars went across to Russia and sat down with the management team. His view was that Mars is always there for the long term and that you never pull out because things are tough – because that’s not mutual. He said we need to figure out a way to make this work. The team had a thought and came up with something that the distributor said was quite a logical thing to do. They said we’ll produce the stock and you can have it, and you don’t have to pay us until you’ve been paid by your customers. This is against how a business works, but they went for it because the distributor had 3,000 customers who had stopped paying within a few days. They passed this on to the customers and said you don’t have to pay us until your customers do. This kept the business alive. This distributor ended up being a long-term partner. Mars’ position in the market was very strong because they had strong support. Mars would be around during the tough times for the distributor and vice versa. And I’m Mark Schenk. And we’ve been getting some really good feedback from people that our objective of helping build people’s business story repertoire is in fact working and that people are using the stories in their own business circumstances. Just yesterday I was talking to a coaching client (she runs a business up in Queensland) and she had taken her team across to Great Keppel Island—a beautiful place—for team building and diving. I’d like to go there and do a bit of diving. The purpose of this offsite was to get her team together, build relationships, and tackle a couple of thorny problems. She started the meeting by using the 9/11 story talking about how collaboration is a really important factor in helping teams tackle complex situations and that part of the offsite purpose was to build relationships that would help them run the business. The feedback she received from people was how effective the story was, how engaging it was, they liked it and it set the scene. Fantastic. Isn’t it great when you see people take these anecdotes and use them? And put stories to work. Mark, we’ve got this great treat for us today. I was in Auckland last week and while I was there I took a bit of time to go and visit one of our clients Gerry Lynch. Gerry was the General Manager of Mars for a number of years. He’s just moved on to a new role and I thought I’ll get him in those early days where he’s not totally flat tack and crazy and asked him to tell a story from his days at Mars. A little interesting context there; Gerry when he was working at Mars had a terrific growth in business and really had a big impact. One of the things I remember was over the last three years Mars New Zealand was actually named the best place to work in all of New Zealand. Have they got any vacancies? Exactly—line up. The thing is it’s so much a principle-driven organisation. They had such a great leadership team and I was lucky enough to work with those guys. But we’re going to hear Gerry share one of his stories and then we’ll chat about it and do our normal thing; find out why these things work. Fantastic. I’m really looking forward to hearing one of our clients and about how they’ve used stories in their business. I’m Gerry Lynch. I’m the CEO of Delmaine Fine Foods (two weeks in). And I met Shawn at Mars so I’ve been through the storytelling training. Fantastic. Today we really want to hear one of the stories that you’ve shared from your Mars experience. This is quite a famous story in Mars. It’s around a principle. Mars have five principles and one of those principles (probably a little different to values and principles elsewhere) is the mutuality principle. Mutuality is around a shared benefit and a shared benefit endures. Where we’re either favouring the company, the customer or supplier; there’s always that potential risk of it not lasting. Whereas if you feel it’s mutual; you benefit and the customers benefit then you know that you’re both happy and that’s likely to endure. If one person feels out of whack there is always going to be a tension; it’s probably not going to last. It’s so true especially with partners as well as customers; it’s everyone you’re dealing with, right? I live it in my life because I always believe in essential fairness. Mutuality is really fairness. Let’s hear your story. I might have to provide a little context but lay it on us. The story comes from 1998 and it refers to the Mars Russian business. It was just building in 1998 and Mars has really got a history of investing in countries for the long term. And as you may be aware 1998 in Russia was the year the rouble crashed. Russia defaulted on its debt. Interest rates were raised to about 150%. Investors fled and inflation peaked at about 84% and many of the banks closed. And many of Mars’ competitors literally retrenched back to the U.S or Europe. So, it was a really tough time and the management team were just sitting there thinking what do we do? What do you do in that situation where your business is crumbling around you? And Mars was in a position where the distributors, the money just dried up so their customers weren’t paying them and the cash flow in the whole chain just dried up. And one of their main distributors was on the verge of bankruptcy. John Mars came across because it was a major crisis in the business and he sat down with the management team. His view was; we’ve been with Russia in the good times, it had been good until then, and Mars is there for the long term. His view was pulling out was not an option. We’re not going to do what our competitors have done and retrench back to Europe and pull out of the country. Yes, it would save the business money in the short term and limit the risk but that’s not what Mars does. And that’s not mutual with the partners that have supported us. This was a main distributor who has been supporting us through thick and thin and at the first sign of crisis we run for the hills. His view was you’ve got to figure out a way to make this work. So, the management team went away and thought how do we get out of this hole? That’s completely against how business was working at the time in terms of getting all your cash in. And the distributor had 3,000 customers that stopped paying within a few days. The fact that the distributor could now pass on that same sort of thing to their customers kept the business alive and kept cash flowing throughout the whole system. It was a pretty bold move where everyone else had just pulled the pin. Not only did it keep the distributor in business and essentially Mars in business but the distributor was one of the only ones able to sell stock because everyone else had gone under. They became stronger and the loyalty back to Mars in terms of mutual benefit meant they were then a partner for Mars long term. It meant that as Mars built the business over the years Mars position in the market was very, very strong because they had a very strong supporter and distributor. They knew that in tough times Mars would stand by them and they would do the same for Mars. It was a great example of mutuality and thinking out of the box when a crisis comes along and not just doing what everyone else does. So, when would you tell that story? I tell that story in Mars where we’ve had similar challenges with a customer; where a customer has maybe tried to demand too much of us and I’ve shared this example with associates in terms of where it works. One of our customers was telling us we couldn’t sell our products to another customer (and they were a much smaller customer). And they said if you support that smaller customer we’re going to stop supporting your promotion and we’re not going to give you the edge you wanted. We did that. They threatened to not support us. In the end they backed down. It sent the signal back to sales that when we stand by our principles sometimes you might lose but generally you’re going to win in the long term. They supported us and we had the best of both worlds in terms of both customers getting the product. Thanks, Gerry. That’s a tremendous story and I love how it had an impact in your business over time. Mark and I are going to have a chat now about how that story actually works as a story and you’ll be able to hear us chatting about it. I’m going to spring this on Mark and say here’s the story; what do you reckon? Thank you. Wow, that was a fantastic story, in fact two fantastic stories there. I really enjoyed the little surprise there, Shawn, and thanks, Gerry for sharing those two stories. I loved them; reminded me of a whole bunch of examples I’ve had in my experience where values have been well applied and, equally, where values have been poorly applied or where there were no values in place. So, what are some of the things that we liked about that story that made it work? For me, one of the things that jumped out at me was having those specific data points; it was 1998, the rouble crash, inflation goes up to 84%. I can’t imagine 84% inflation—crazy. Having data in your stories just increases the credibility. And also, the impact because it’s such a significant figure. I want to make sure we don’t skip past your point about credibility because that data does really add to the believability, the plausibility of the story and it’s important to note that having the data is an important part of telling a story effectively. I think the other one for me is the solution with the distributor goes against business principles; the idea of just making your product freely available to your distributor on the basis of pay it back when you get paid, in the full knowledge that you may not get anything. That’s right. There was the full knowledge that many of those suppliers would not be able to pay and they would never get the money. But they took a long term view. And it is really counter intuitive. If you proposed that as part of your MBA at Harvard you would fail. They would laugh you out of the class. The story is providing this insight. There’s a lovely quote by Gary Klein, a psychologist, he’s written some terrific books, he said, ‘insight is when you unexpectedly discover a better story’. And that’s sort of what you’re getting when you’re hearing about making the product freely available on the basis that you’ll pay it back when you get paid. For a business person to hear that it’s going to tweak their brain a little bit—‘I didn’t think about that as an idea’. It also takes me back to listening to the NPR podcast ‘How I built This’– Guy Raz was the host and a number of the successful people who have been on the show were doing things that were completely counter-intuitive; investing straight after the global crisis of 2008, expanding their business at a time when everyone else was shrinking it as an opportunity to take market share when things are going badly. Maybe that’s the little hint there. Think about what everyone else is doing and then do the opposite. That sounds like a George Costanza approach. One of the things I liked about the story was firstly, it was a very impactful story. I was really engaged throughout it. And I could imagine Gerry telling that to those salespeople but also in the telling of it not just influencing how they addressed the situation and what they went back to the client with but also their ability to tell that story to other people and to use it themselves. And even if they weren’t very good storytellers they could do it. And get more impact because the story itself has so much potential, so much meaning and value. Most definitely. I also like the fact that you’re telling a story in an organisation like Mars and it’s a Mars story. The idea that could it really happen? Those sorts of questions get totally dissolved because we actually did it in our organisation. There’s no translation required. This is not a theoretical maybe this will work; it’s completely concrete. We’ve tried this it works. I think there’s a leadership lesson in here too you could draw out as a different business point for this story. And the leadership lesson could be around how important it is not to tell your people what to do but almost set up the situation in an intriguing way that they have to really think hard on a solution. So, John Mars, when he was in Russia, didn’t say ‘o.k. guys you need to make the product freely available to your distributor’. No– ‘This is our principle; I want you guys to work out a good way forward, a sustainable way forward in the long term’. And in the same way Gerry had the same flavour –a little more directive in his questions for his sales people—but he was also giving his salespeople that freedom to go ‘we really shouldn’t be cutting out the little guy’. It’s the principle of show don’t tell. So, he’s not telling them what to do nor did John Mars. He just put the value, the mutuality principle on the table and then challenged the leaders to figure out how do we apply the mutuality principle effectively in this situation. What are our choices and giving them the opportunity to figure out what’s the appropriate response? It’s so true. I think it’s a terrific story but are there any other places where that story could be told? If I was introducing values to a company and I was facing some resistance where people were going ‘why would we bother with values? Let’s just get on and do what we do.’ And you could use the mutuality principle Russia story as an example of how values can help you make both short term decisions but also important strategic long term decisions and this is the sort of reason we have values. So, I would have this not just as an example of what the value is but why values are important to a company. I was chatting to a friend of mine and she was saying that she saw two companies dealing with a difficult decision-making issue and it was so interesting. She said the company that had values and really understood them they compared the decision they needed to make to the value. So, it was really quick. Very fast. The others didn’t have values articulated and they just went round and round in circles trying to work out what the decision should be. I don’t think people think so much about the importance of the speed of decision-making that values actually contribute to. I agree with that. It really does help and not just with speed but also clarity, certainty. You can go ‘this doesn’t work with our principles’ and that’s it. There’s none of the questioning; have I done the right thing, the wrong thing? It’s just we’ve done the thing that is guided by our values. I’m reminded of 2008—I was running a leadership programme and we had 50 anecdotes collected from within the organisation up on the walls—25 good ones, 25 bad ones. One of the leaders was sitting there and we were having a conversation after we had read all these quotes—‘what did you notice about all these quotes?’ The leader was sitting back in the chair, hands behind his head, he was not engaging in the conversation at all and after a while I was really intrigued. I was going that was so worth the wait and I totally understand why he was pondering in such a way. That’s fantastic. What a great little example. O.K. I think we should wrap things up. It’s time to do some ratings. I’m going to give it 7 out of 10. I loved the story I can see how powerfully it has been applied. I loved that Gerry used it to achieve a great business result and I can easily see how others could use that story as well. I think I’ll give it an 8 actually. I could see myself using it and I could see how our listeners might actually be able to use it not so much in the way Gerry used it because that’s their principle but just to illustrate how values work. I think that’s probably one of the good uses so 8 out of 10 for me. Right, I think that wraps it up. Great to have you onboard again. Please rate us on iTunes—we find that helps people find us. And the more people we can draw into this the more people who get the benefit from having these stories in their back pocket. And if you have a comment or a story you’d love us to share or know about jump on the podcast page on the website at anecdote.com and pop it in there and we’ll be sure to respond to that and build that into the mix. Until next time, guys, thanks for listening to Anecdotally Speaking and we’ll have another show for you on how to put stories to work next week. Bye for now. You two are hard markers, with your seven and eight respectively! This story is a TEN (10)!! Why? … Values flow from Mission and Mission flows from Purpose (I will email you mine). And enterprises with a clear purpose and therefore mission and therefore values are outstanding enterprises. And with “mutuality of purpose” we all will make the world a better place. Your right John. It’s a 10 in the Mars context. I guess we are rating the stories from the perspective of retelling the story in a different context. How would it fly then? Pretty well but it would lose some of its impact.